Slide-Action Rear Suspension™: Slide-Action maintains a free-acting front arm while coupling under torque over bumps, and during aggressive cornering and acceleration. 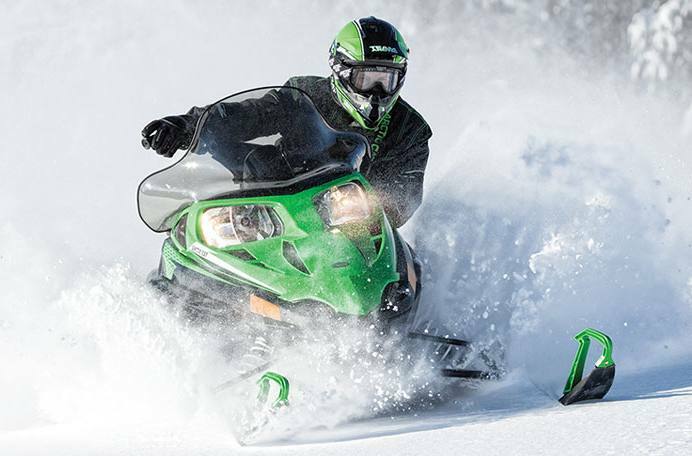 As the rear transfer blocks are engaged, the front arm follows the bumps, keeping your skis firmly planted as your 128-in. track propels you down the trail. 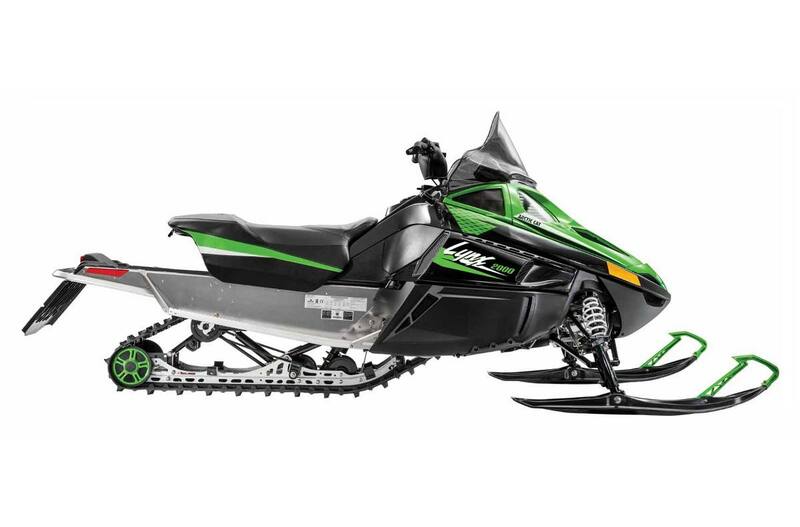 AWS™ VII Front Suspension: Arctic Cat's legendary AWS™ VII front suspension utilizes strong, durable A-arms, providing great handling and cornering. 2000 2-Stroke Engine: The value-focused 565cc, 2-stroke, fan-cooled carbureted engine is powerful, durable and efficient. Push-button engine reverse is a favorite in the utility segment. This engine is revered around the world for its simplicity and dependability. Twin Spar Chassis: The Twin Spar™ chassis is synonymous with the Body-Saving ride. The design incorporates two box-aluminum spars triangulated with the steering supports. Tunnel spars are incorporated along with self-piercing rivet construction to ensure joint rigidity and overall strength.